It’s the most wonderful time of the year, and no, I’m not talking about Christmas (though that isn’t bad, either). I’m talking about your Spotify Year in Review! For those of you unfortunate enough to not have a Spotify account, the app tracks all the music you listen to and gives you a summary at the end of the year. As a music enthusiast, this gives me a lot of insight about myself and things that I maybe otherwise wouldn’t have thought about. 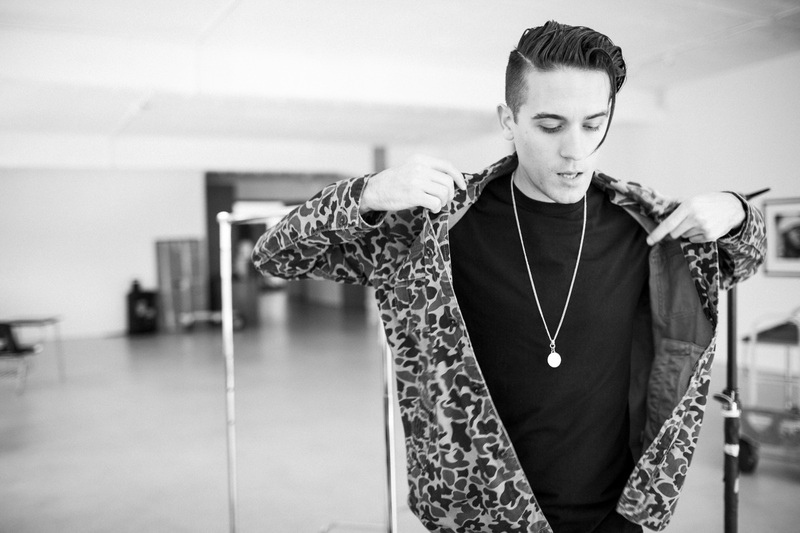 For example, my most played artist this year was G-Eazy. What?! I don’t even like rap that much. That’s why it was such a shock to see I streamed him nearly 200 times. The only way I can rationalize this is by knowing there was a spike in streams when I bought my Bonnaroo ticket and G was on the docket. My second most streamed artist was also a product of Bonnaroo, in a different sort of way. Ryn Weaver, with 165 streams, was an artist I discovered only after seeing her play live. Thoroughly impressed, I listened to nothing else all summer. Four of my five most played songs were Ryn Weaver (the fifth was the 2007 hit Paper Planes by M.I.A. and I dare you to ask me if I have any regrets), and she was my most played album. I highly recommend giving it a listen if you need something to jam out to in the car. She’s my number one for 2015. Hozier, Vance Joy, and Kodaline showed up multiple times in my recap as well. What can I say? I let my inner folk hippie shine this year. And for all that time spent on road trips and just generally being the life of the party with the best go-to playlists, I have 19,000 minutes of listening to show for it. And that’s not including the albums I loved so much I bought them on iTunes to keep with me at all times. In case you’re confused as to how much time 19,000 minutes is, Spotify further shames you by converting that to 324 hours, or 14 days. I listened to 14 straight days of music this year, 667 different artists, and 1,873 different tracks. Where did I find the time?! After you’re done reviewing your own year, you have the opportunity to look at the year as a whole. A personal favorite, and one I can relate to like no other, was what Spotify calls the “sadness spike” in One Direction streams when Zayn left the band. Streams spiked up to 769%! That’s the complete opposite of how I mourned, which was by living in denial and listening to the Backstreet Boys entire discography. I’m surprised that didn’t embody itself in my year in review. Either way, embrace this opportunity to get to know yourself better through music! What you find may surprise you! Plus it’s a great way to reminisce on moments you shared with specific artists or songs. Hannah Strader graduated from the University of Kansas in December 2018 with a degree in journalism and creative writing. She has past experience as both a writer and editor for high school and collegiate level newspaper staff and spent the summer of 2017 in London working with Healthista, an online women's health magazine. Her passions include but are not limited to Harry Styles, Taco Bell, witchcraft and books. She has two cats and can recite all the U.S. presidents in order. She's proud to call herself a Her Campus alumni. Formerly the Editor in Chief, Senior Editor, and staff writer at Her Campus KU.